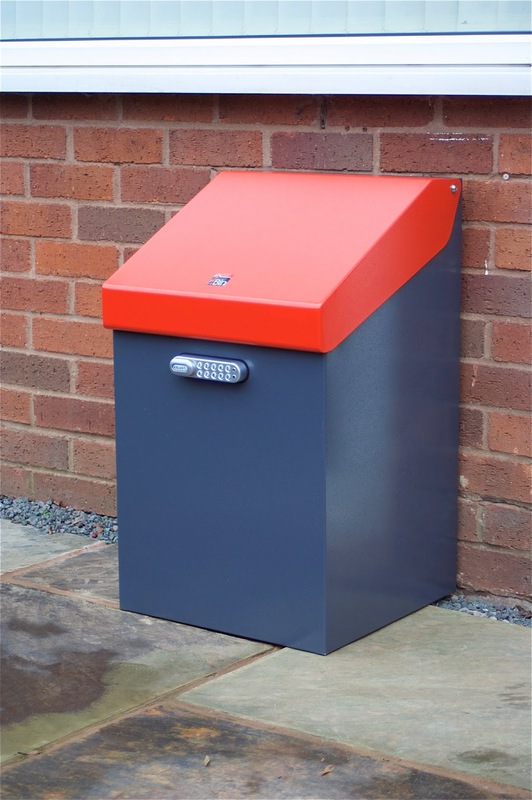 iBin Innovations Ltd has selected KitLock 1000 cabinet locks to secure its range of parcel delivery boxes. iBins provide a convenient and safe place for couriers to leave home delivered goods when there’s nobody at home to sign for them. The code to open the iBin is added to the ‘special delivery instructions’ or ‘other information’ box during the checkout process. When the delivery is made, the courier opens the iBin using the code and places the item inside. A label with a unique number is fixed to the underside of each iBin lid. The courier simply enters the number as proof of delivery. When the lid is closed and the lock handle returned to the original position, the iBin is once again secure.